Noah’s Ark vs. the Ark Encounter: What’s the Difference? 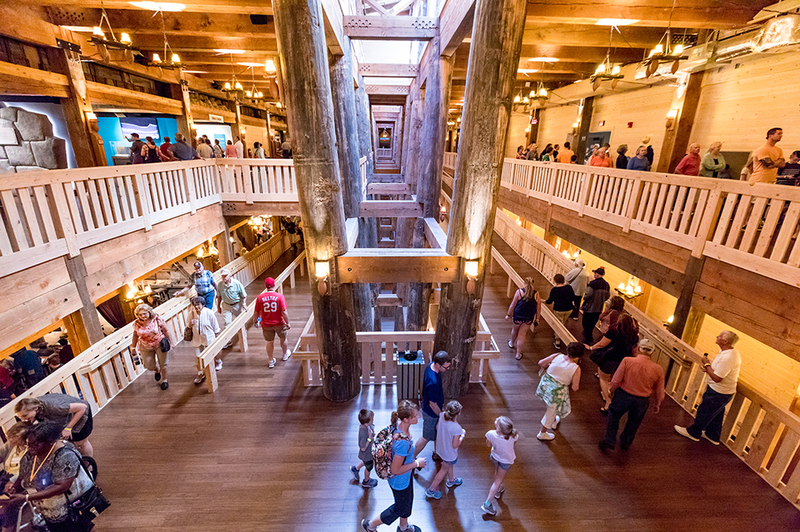 At the Ark Encounter, one of the main reasons we built our life-size Noah’s Ark was to answer common questions related to the global flood. As you enter Noah’s world aboard the massive Ark, you’ll tour three decks filled with scores of exceptional exhibit bays. These stunning exhibits allow you to experience what Noah’s life may have been like. 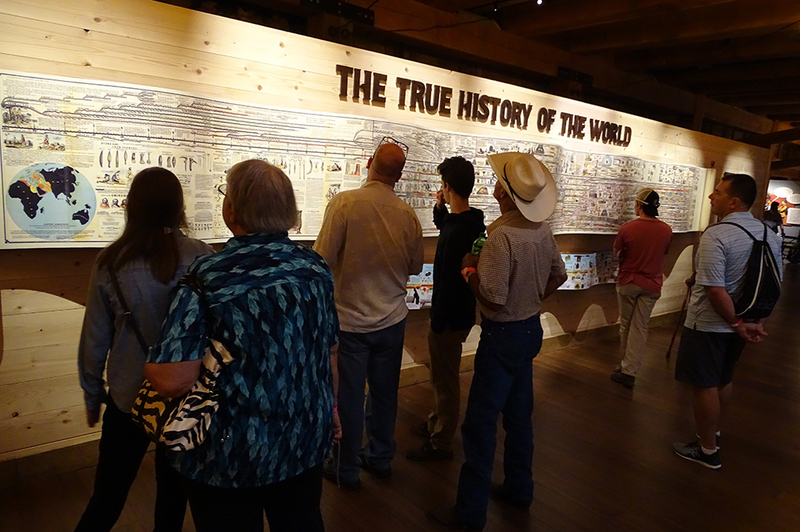 Near our half-ark model on the Deck One, you’ll find new signs showing the difference between Noah’s Ark and our Ark. So, what might the differences be? 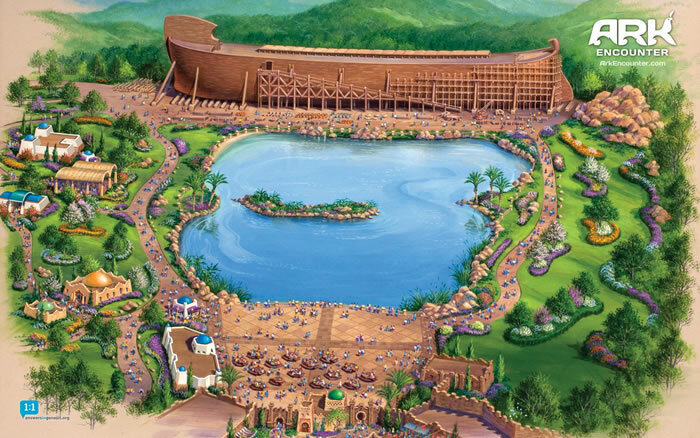 Noah’s Ark was designed to protect humans and animals during the global flood, while the Ark at our theme park is a building that looks like a ship and is optimized for guests’ safety and educational experience. Inside Noah’s Ark, there was a living and working space for eight people and thousands of animals in addition to the enclosures and systems to care for the animals. Our life-size Noah’s Ark holds just a fraction of the enclosures that the real ark had in order to provide adequate space for our guests. Noah’s Ark might have contained practical, short ramps near the bow and stern with steep inclines between the floors, while the Ark Encounter includes long ramps to accommodate guests and provide spectacular views of the inside of the structure. 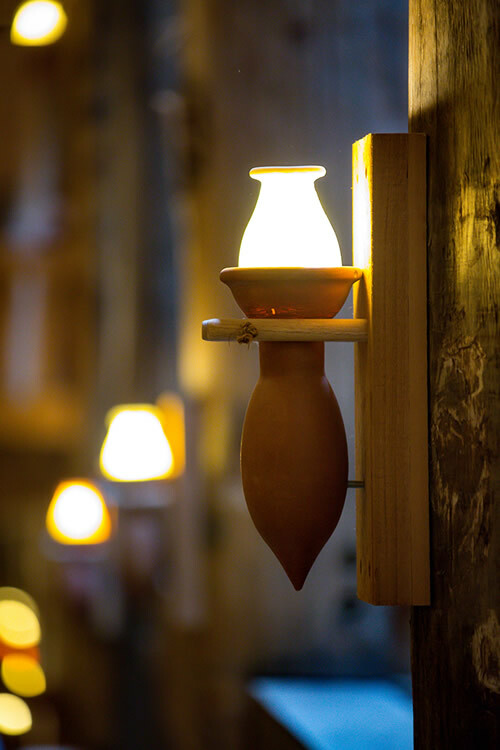 Noah’s family might have had a few lighted areas and used portable lights to guide their way through the ark, while at the Ark Encounter, we have many light sconces throughout for high visibility. 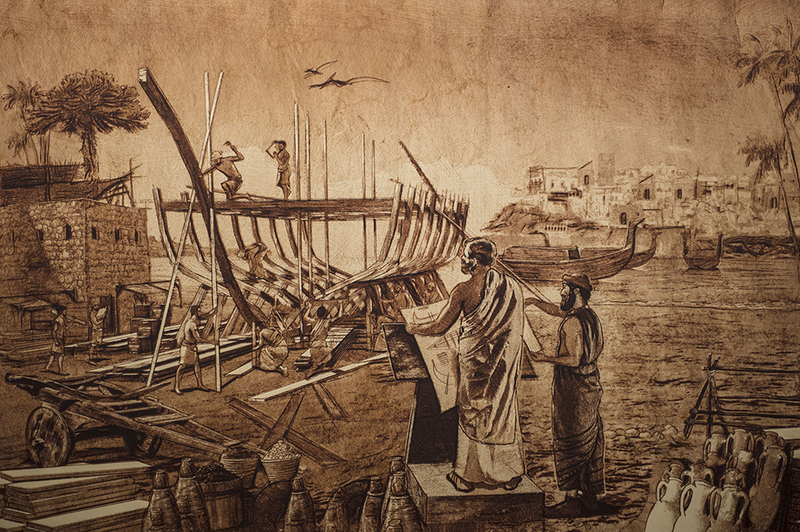 How Long Did It Take to Build Noah’s Ark? The likely view is that it took a maximum of 75 years to build Noah’s Ark. When God told Noah to build the Ark, he said that it would be for Noah, his wife, their three sons, and their sons’ wives (Genesis 6:18). It seems God did not tell Noah about the upcoming flood until Noah’s sons were already grown up and married. Assuming a minimum of 25 years from Noah’s 500th year to allow for his sons to be born, mature, and marry, then Noah would have had a maximum of 75 years to build the ark. There are views that it took Noah 100 or 120 years to build the ark, but you can find out why they are unlikely timeframes when you visit. How Long Did It Take to Build the Ark Encounter? 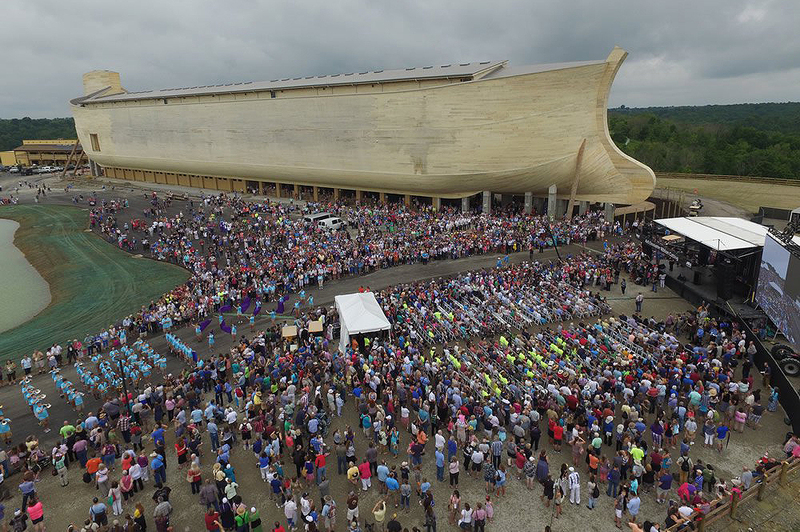 From contract to completion, it took a little over six years to build the Ark Encounter. In April 2010, our journey began when we signed the purchase agreement for the primary development site, and we officially announced plans to build the Ark on December 1, 2010. This is the original artist’s representation of the Ark Encounter. We held a “Hammer and Peg Ceremony” to celebrate the launch of the Ark project on May 1, 2014, and excavation began on the property three months later. On June 15, 2015, the first wooden bent of the Ark structure was put into place, and the construction crew began working on the interior ramps in December of that year. 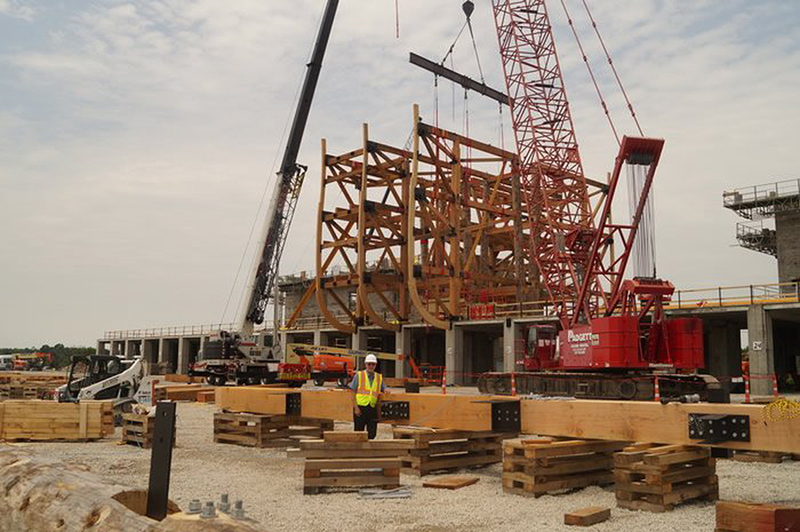 Several dozen Amish woodworkers joined Troyer Construction in putting up many of the enormous wooden beams called “bents” seen above, each weighing about twelve and a half tons. On July 5, 2016, we held our private ribbon-cutting ceremony before officially opening to the public two days later! 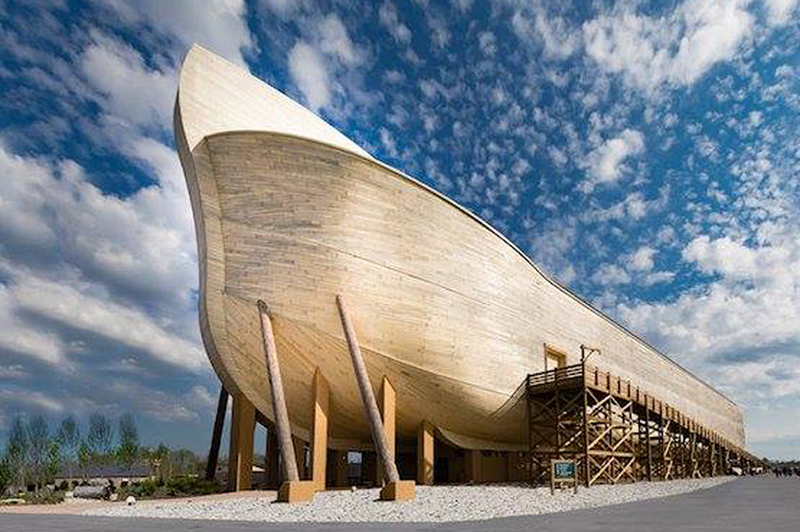 Start making plans to visit our life-size Noah’s Ark in person today! It’s south of Cincinnati and right off I-75 at exit 154 in Williamstown, Kentucky. Then share your favorite photos with us on Facebook, Instagram, and Twitter using #arkencounter.